Leverage Optio’s proprietary database to digitally track orthopedic trauma devices with our dependency data model. 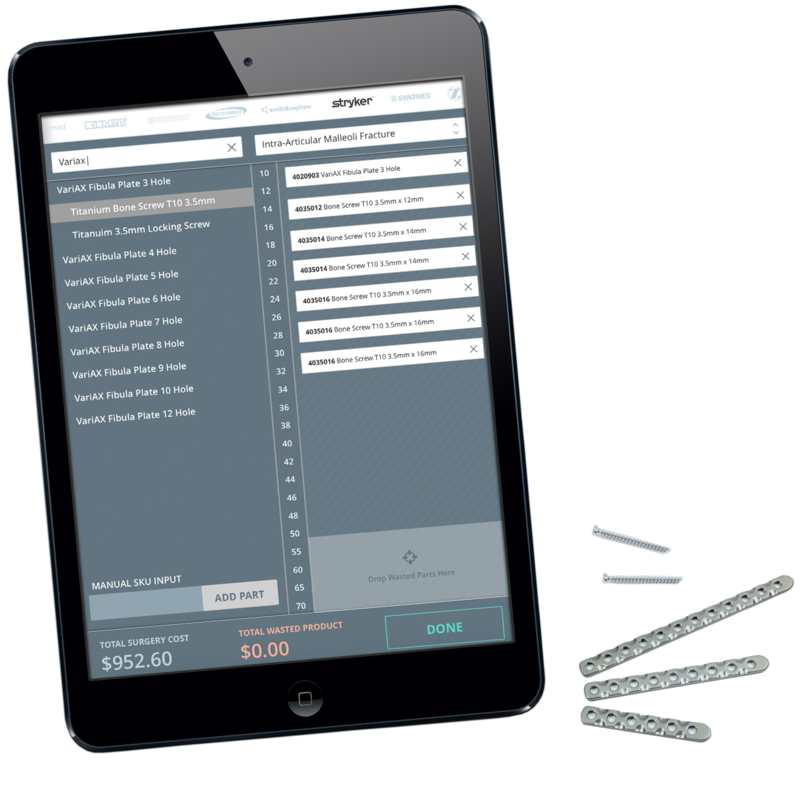 Simply select indication and primary implant and our software does the rest. Optio Trauma is the only software that can account for wasted products and track UDI to the patient.